Home Watch service to detect interior problems and possibly avoid disasters. Home Watch services for vacation property. ​Mailbox check and notice of important mail. Finally arriving to your Nevada home. Welcome Back! This service is perfect for snowbirds and any long term vacancies. This is to bring your home back to life, all equipment is set for occupancy. This includes water valves, water heater, softener and filter, furnace, air conditioning system, refrigerator, etc. Your house will be ready for you when you arrive. No more entering a home that feels like an icebox or an oven. Your time in Las Vegas is precious. Let's make it count. It's time to leave. Bon Voyage! This service will ensure that your home is set to your specifications while it is not used. Great service when your guests leave your property. This service is the opposite of the Welcome Back service. It includes setting your home equipment to vacancy mode to minimize energy consumption and reduce the risks of disasters. This is a complete walkthrough to ensure everything is closed, locked, powered down if possible or set to the correct energy saving mode. Reduce the stress for forgetting something, your time is precious, enjoy your time in Las vegas until the minute you leave your property. We safely keep a key or access codes for your property in storage at our office. All services are provided based on requests from the owner. An hourly rate applies to most services. Agreements can be set for six month at $75 or one year for $125. This is especially useful for deliveries, access for service providers, on demand property walkthroughs. Handyman help for routine home maintenance tasks and minor repairs. Small problems don't have to become big problems. 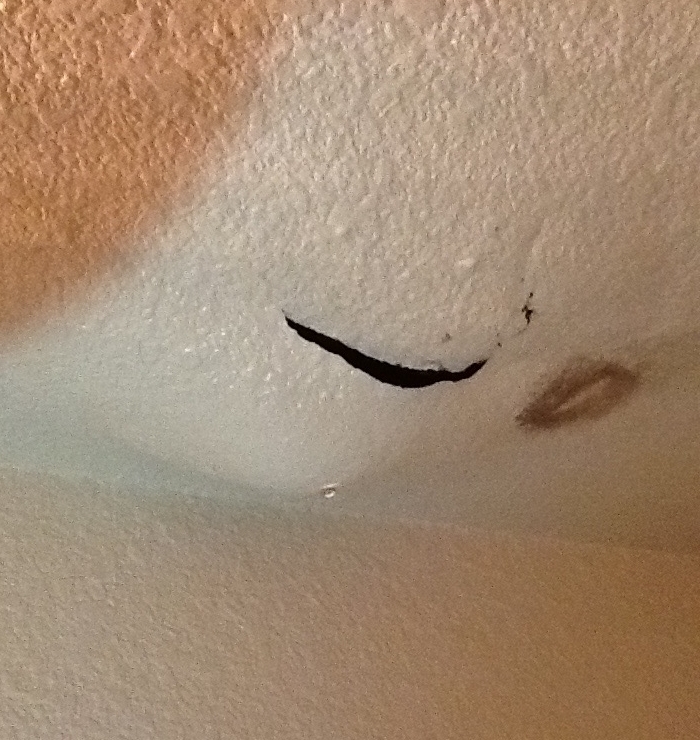 Ceiling blister detected early and caused by a pipe leak from above. 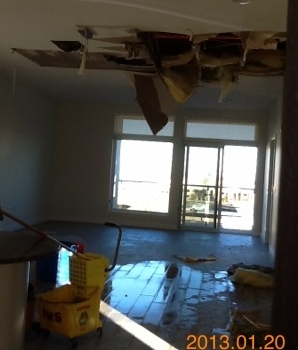 Unfortunately, a leak can cause this when not discovered quickly. Home Watching is serious business, it deserves the most appropriate technology and tools for the task. Home Watcher LV delivers a professional service which works around your travel schedule. We developed a comprehensive list of items which are matching your specific requirements. The walkthrough process is based on a customized application which runs on our mobile devices. The visit report includes a list of items reviewed including pictures and description of any findings. The Home Watcher reports are emailed to you in pdf format the same day. The walkthrough process, reports and invoices are all paperless. All documents are archived and backed-up. After each visit, our clients receive a complete report of the walkthrough and documentation for any findings. Our process is 100% paperless. Your insurance carrier may request the reports as proof of regular property visits in case of a claim. Without proper documentation, your insurance carrier may or may not cover your claim. The action taken on any observation is based on the importance and severity of each case. The owner will always be notified of all findings and actions taken. In the case of a severe finding, we will attempt to reach the owner during the service to establish an immediate action plan. Are you ready to leave? Tips.